An ethnographic documentary on ‘spiritual tourism’ in Peru and contemporary shamanic practices using ayahuasca plant medicine. Afluentes are small rivers or streams that flow towards a bigger river or lake. – a psychedelic brew based on the mixture of two plants that has been used by indigenous tribes of the Amazon since (at least) the XVI century as a religious sacrament. In Quechua, ayahuasca means ‘the vine of the dead’ and it attracts every day more Westerners to South America in search for this mysterious healing experience. The legal status of DMT-containing plants is somewhat questionable. Ayahuasca plants and preparations are legal, as they contain no scheduled chemicals. However, brews made using DMT containing plants are illegal since DMT is a Schedule I drug. Ayahuasca has also stirred debate regarding intellectual property protection of traditional knowledge. ‘Afluentes’ brought together an old teacher, an accidental traveler and a desperate man to the same place. But my fieldwork did not end here. 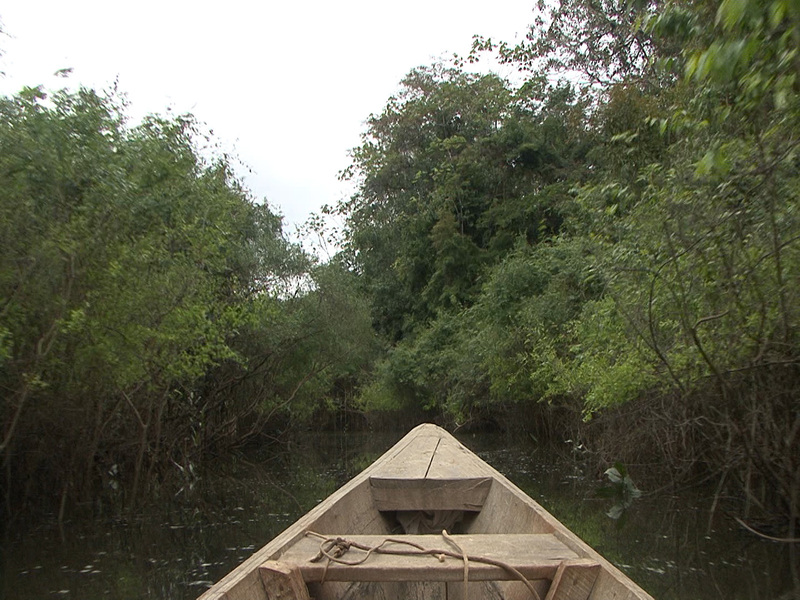 Went up river and documented the shamanic specificities of the Shipibo-Conibo people near Pucallpa. And then stayed at an holistic treatment retreat, mostly visited and ran by foreigners, at the epicenter of the whole phenomena of ‘spiritual tourism’, in Iquitos, the largest city in the world not accessible by road. The outcome of the rest of such anthropological pursuit was my first feature documentary titled El Espejo del Espíritu (if curious to know more after Afluentes, feel free to watch the full film here: The Mirror of the Spirit / Password: quetzalcoatl), which premiered in Ibiza at the World Ayahuasca Conference 2014. I did not seek to document those already experts on the subject, but to give an unfiltered voice to others that came about my observational path of discovery; to better understand the enticing effects of such a tradition, the profitable business behind fake healers and the cross-cultural mimetic relationship between Amazonian natives and Western converts. João Meirinhos created a compelling and sublime documentary that reaffirms the power of the world’s greatest traditional medicine, ayahuasca. Assembling an impressive cast of traditional practitioners, aficionados and western converts, ‘Mirror of the Spirit’ bubbles like the brew itself to reveal the essence of the ayahuasca experience. And, like the ayahuasca vine, it entwines the viewer with an authentic and compelling message that is hard to resist. 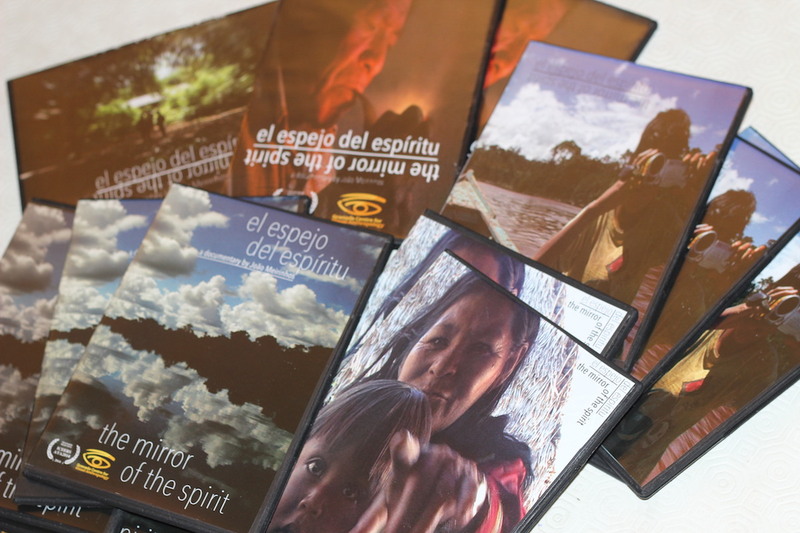 Grounded in strong ethnographic roots, ‘Mirror of the Spirit’ captures the spirit of this eclectic mix of contributors all of whom have been transformed by the power of the medicine in a myriad different ways. Once again we are reminded that the message of ayahuasca is more relevant today than at any point in our history.